The beginning of a new year is a time to try new things, spruce up your perspective, and take stock of the opportunities in front of you. As a creative professional, you can take this cue to get serious about your job hunt. You'll increase your odds of success when you act mindfully and deliberately and know clearly what you're going to accomplish. Whether you're angling to rejoin the workforce, looking for a new role that better matches your goals, or simply want to keep your job-search skills sharper, here are some best practices that will give you an edge and help you find work you'll love. Before you begin your search, take the time to form a clear vision of the job you'd most want to have, with the company that best aligns with your objectives and values. Then, you'll have clear guidelines on the sorts of opportunities you're best suited for, and that best suit you in return. Spend an hour or two to tailor your resume, write a passionate cover letter, and complete a thoughtful job application for an opportunity you really want; it’s worth the time rather than many more hours of applying for jobs at random. Be specific about your skills, write out what you've achieved, and how you hope to grow in the future. When you crystallize your goals and can see them in detail, you'll find your job search gets more efficient when you explore the right niches. Collaborate with a creative recruiter to narrow down your job hunt and save yourself a lot of effort, time, and uncertainty. As part of cultivating the professional image you want to project, it's increasingly essential that you pay close attention to how you appear on social media and the web. Make sure your digital portfolio and any associated sites are up-to-date and portray you in the way you want to be seen by recruiters, hiring managers, and others in your industry. Plan to get professional mileage from your social media channels, particularly LinkedIn, or lock down personal accounts if you don't want them to be seen by curious strangers. The beginning of the year is a fine time to check in with your contacts. It's easy to let your mentors and peers know you acknowledge and appreciate them. A quick note can pay massive dividends throughout the year. If you're feeling lonesome, schedule some networking events. Commit to expanding your horizons and put yourself out there. A small interpersonal risk can go a long way. Getting specific, helps you appreciate the talents and skills that set you apart from the rest. Eliminate jargon and buzzwords from your resume and focus on ways in which you really stand out. Regard yourself as a brand and zoom in on the aspects that differentiate you from others. Learn from your experiences, emphasize your strengths, work on your weaknesses, and approach your job search from a spirit of optimism. When you're unique, there's no competition. At Artisan Creative, we have decades of experiences in connecting creative professionals with the opportunities that help them soar. Take advantage of this season of renewal. Contact us today to get your 2019 off on the right foot and get the support you need to thrive through the year and throughout your career. We hope you've enjoyed the 504th issue of the a.blog. An on-line job application is your first impression with potential employers. Being conscious and deliberate about this crucial first step can help target your job search process. As you strive to learn and make each application a bit better than the last, you may find that applying for jobs can be an exciting chance to move your life and work to another level. As talent advocates in the creative business, we have observed some consistent patterns as to which job applications are more likely to open doors. Here are a few best practices, as well as common mistakes to avoid - knowing these can save you a lot of time in your job search. If you must choose between quantity and quality of applications, go with quality every time. It's easy to apply for jobs online - every hiring manager who posts an ad is likely to get deluged with applications. To get noticed in this flood, it is essential that you pay attention to the text and subtext of the ad. Craft your profile so it aligns with the hiring manager's expectations and present yourself in a way that communicates that you want not just any job, you want this job. If you are mindful about your application, it will stand out from the vast majority of those who simply apply for as many jobs as possible, as quickly as possible. New job-hunting interfaces with one-click "Easy Apply" features make it possible to apply for dozens of jobs per hour, but that doesn't necessarily make this a constructive practice. Make sure you exclusively apply for jobs that you understand and that you know are a good match for your goals, skills, and expectations. Always show enough consideration for the time of hiring managers and recruiters. Target the companies that you are really interested in. Your thoughtfulness will pay dividends over the course of your job search. When creating your resume, cover letter, and other application materials, maintain a positive mindset and present yourself, your skills, and your accomplishments in the most appropriate light. You've worked hard to get where you are, and you're looking for the best opportunity to contribute and to take your career to the next level. If you tell the truth, it's easy to remember! Duplicity isn't worth the mental energy, and it is easy enough to find the truth in our super-connected electronic age. If you mislead about your capabilities, you may find yourself in an interview for which you are not qualified, which is scary and embarrassing. Be realistic and honest, and you will make more progress in your career over time. Keep it short - resumes of one or two pages, and cover letters of no more than five succinct paragraphs, are more likely to be read in full. For resumes, use lists with bullets, clear headings, and easy-to-read typography. Be mindful of applicant tracking software, and use common industry terms and keywords that are likely to capture the attention of robots as well as humans. Unless you're a graphic designer showing off a particular aesthetic sensibility, stick with a simple, minimalist resume that is easy on the eyes. Don't include pictures, colors, flourishes, competing typefaces, or other distractions. Your resume should be functional first. Focus on communicating your value for maximum efficiency and impact. Contact Artisan Creative today to learn more about how you can make your application stand out. And read our advice on how to perfect your portfolio and how to have a great interview to help land your dream job. We hope you've enjoyed the 459th issue of our weekly a.blog. Although there are many skills you can develop to make your job search easier, it can still be something of a numbers game. Even highly skilled and in-demand professionals sometimes need to practice patience for longer than they expect. When rejection comes, as it inevitably will at some point, it's easy to take it personally. Job hunting can be, in a word, scary! Experts such as Artisan Creative's a.team can help your search by sharing insight about a company and the nuances of a specific role and what the hiring manager is looking for. Fortunately, there are few steps you can take to lessen the fear of encountering that job hunt terror, and maybe even find some excitement and optimism in this challenge most of us face at least a few times in our lives. Here are a few of our favorite ways to make your job hunt less scary. To find opportunities you can get excited about, you must first understand, in detail, what you are looking for. Talk to one of the professionals at Artisan Creative, ask friends who have jobs they enjoy, and do some serious introspection. Do you love agency life, or would you rather work for an in-house team? What sorts of projects do you love to tackle? Is your ideal environment clean-cut and corporate, or do you work better with a dog curled up at your feet now and then? Some websites will let you apply for dozens of opportunities, and indicating your interest in a role is only a small part of your job search. You should also follow up, tweak and perfect your resume and portfolio and do the right research. In The Muse, Richard Moy describes a job-hunting process broken down by days of the week, designed to keep him time with his family and allow plenty of breathing room. Experiment with a structure like this, making sure to respect your personal priorities. You'll probably have more success in your search if you are practicing self-care and living the best life you can. Sometimes the lack of rewarding work can feel like an existential threat. You may worry about what might happen if your job search takes too long. When you're in the throes of a stressful search, it can be easy to take professional rejection as a personal attack. You may get overly excited about one opportunity, only to be disappointed when it doesn't come through. It can get harder to maintain self-esteem and personal well being. Paradoxically, when you get emotionally caught up in the highs and lows of the job hunt, you may find it harder to present yourself as the calm and competent professional you know you can be. Then it gets even scarier! Although the job hunt can be an emotionally intense experience, it can also be an excellent teacher. When you face challenges, you can learn to broaden your perspective and practice emotional control. Learn a simple mindfulness practice to manage your stress levels. If you are starting a new job search while employed, you can start by reaching out privately to recruiters, former colleagues, or anyone else who may be able to help, without drawing too much attention to yourself online. Your search will seem less scary if you have others helping you out. To paraphrase the Rolling Stones' anthem, you can't always get what you want, but you can usually get what you need. When you're scared or in need of help, guidance, or just sympathy, don't be afraid to ask for it. If you need specific help, try reaching out to your professional tribe through social media, or send a thoughtful email to a mentor you trust. Make sure you have a partner or close friend who will help talk you through your anxieties about job-hunting. You can also talk to the experts at Artisan. We have years of experience helping creative professionals find great opportunity and turn fear into fortune. Contact us today to learn more. We hope you enjoy the 448th issue of our weekly a.blog. In our 20+ years of working with some of the best creative talent in the business, we have seen hundreds of examples of resumes that get attention, get read, and get interviews. While every job-seeker should have a resume that highlights his or her uniqueness, we have observed some consistent patterns in effective resumes that we suggest all candidates keep in mind. Here are five big ideas to help guide you as you write, revise, and refine your resume. Your resume should be designed with a specific purpose in mind, usually landing an interview. Make sure that everything about it - every word, every stylistic decision, everything - is optimized for helping you achieve your goal. Rather than having one resume you send out many times, try using several, slightly different resumes, tailored to different opportunities, potential employers, or specializations. This will give you the opportunity to experiment with "A/B testing," or compare the results of minor tweaks. For instance, rather than including an "Objective" that remains consistent, try summarizing your career or experience in a way that pertains directly to this opportunity. See which ones get better results and refine from there. If nothing else, refresh your resume regularly - this gives you a chance to clarify or change your goal over time. Unless you are a designer and your aesthetic sensibility is a crucial part of your package, make your fonts, typefaces, and other formatting decisions are legible and user-friendly. Your resume should showcase your skills and experience, not itself. If your resume is in Microsoft Word format, use standard typefaces such as Arial and Calibri, stick with one typeface throughout, and keep the size consistent at around 10- or 12-point. Unless you're applying for an acting or modeling gig, you don't need to include a photo - your work should make your first impression, at least until you have a chance to introduce yourself in person. When in doubt, make your resume as clear, clean, and simple as you can. Use bold headers and bulleted lists for easy "F-scanning," and list your work experience sequentially, starting with the most recent. Clearly label the name of the company, your job title, and the interval of time in which you worked there (including the month and the year, for extra transparency). There's no need to go back further than ten years unless you have some very important or impressive experience outside of that range. Challenge yourself to keep your resume to one or two pages in length. This will make it more appealing for hiring managers and will ensure that you highlight only your best and most important skills and experience. List your responsibilities, using active verbs (e.g. "handled" or "resolved," rather than "responsible for"). Focus less on rote daily duties and more on challenges you overcame, goals you accomplished, and ways in which you helped your team succeed. This will help create a picture in the hiring manager's mind of what you can do in this new opportunity. While you should avoid empty jargon, you should be mindful of important industry terms that an Applicant Tracking System (ATS) or other databases might scan for, and include those. If you are posting your resume on the web, it should be search-engine optimized, using keywords that are popular with hiring managers in your line of work. Again, designers are exempt from strict conservatism in style. Add a logo, splashes of color, or other touches that show off your signature aesthetic. Just don't go overboard with it. If you worked for an agency, include some of the clients you worked for and note the different sorts of projects you worked on. This can be more tangible for hiring managers outside the agency world. Make sure your URL or a link to your portfolio site is included in the resume. Like everything else about job hunting, crafting the ideal resume is a process of trial and error - try different things, see what gets results, and learn from your experience. However, you can fast-track your career if you team up with experts who have knowledge, connections, and resources. To find out more about how to showcase yourself and discover new worlds of opportunity, contact Artisan Creative today. We hope you enjoy the 446th issue of our weekly a.blog. Artisan Creative is celebrating 20 years of creative staffing & recruiting. Over the years we've learned a lot and will share our experiences with you in our 20/20 series: 20 blogs celebrating 20 years of creative recruiting!Enjoy! In this day of fast-paced applicant tracking systems and online job submission portals, getting feedback about your qualifications, or input on the job is often a challenge. Frankly, it’s hard to know if anyone has even had a chance to review your submission. 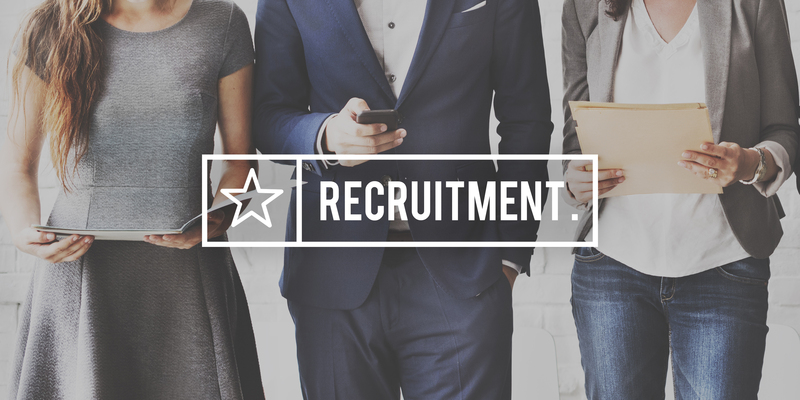 As the automated world of online resume portals has become frustrating for many, you may want to consider working with a recruiter in your job search. A recruiter is a consultant acting on your behalf. They are as committed to finding you that perfect new role as you are. They are pro-actively advocating for you and thinking of new opportunities. A recruiter often understands the company culture and processes that would be much harder to find out on your own. Your own research can only go so far. Recruiters often provide details not listed on job descriptions. A recruiter can negotiate salary and benefits on your behalf, based on the parameters you have shared. They are also knowledgeable about a client or a specific role’s salary range and benefits offering so they can remove the guess work. When recruiters are engaged on a candidate search, resumes from recruiters go to the top of the pile (assuming your recruiter has a good relationship with the client). An extra set of professional eyes on your resume or portfolio is incredibly important (especially, when there are employment gaps or just to eliminate those typos). They can consult on needed edits or changes. A recruiter has access to opportunities not listed on job boards. Your recruiter can help you prepare for the interview when the time comes. A recruiter with a great reputation for representing outstanding talent adds value to your brand. Having a recruiter on your team can be the difference between landing the perfect role and sitting home by yourself wishing for that great job. Consider signing up with a recruitment agency who places people in your area of expertise. You’ll be glad you did! If you are looking for a role in the creative or marketing area, see how Artisan Creative can help. Artisan Creative is celebrating 20 years of recruiting and being part of the Los Angeles creative community this year. In this time we have learned a thing or two that we’d like to share with you in the first blog of our 20/20 series. 20 blogs celebrating 20 years of creative recruiting! Enjoy. Do you find job fairs are a whirlwind of elevator pitches and business cards? You’ve given your pitch to an employer, now what? We’ve put together a checklist to guide you and ensure you get the best out of the day. This Saturday, Artisan Creative will be joining TechJobsLA for a job fair aimed at creatives and developers. We have sponsored and participated in this event for the past several years and look forward to seeing you there. TechJobsLA is a specialized job fair aimed at designers and developers including a series of incredible workshops and speakers. This year Artisan Creative’s founder, Jamie Douraghy will be holding a workshop on Discovering your Why. We all know what we do, and how we do it...do we know why we do what we do? Come join us. TechJobsLA is an opportunity to meet recruiters, hiring managers, startups and companies as well as a chance to network and learn new skills. This year’s event will have a dedicated digital entertainment panel. They’ll be discussing trends and answering questions. Artisan Creative founder, Jamie Douraghy will be holding a Discover Your Why Workshop. Modify your resume so you have tailored versions to suit specific industries and companies. Print out your resume. Make a lot of copies, and we mean a lot! Keep them in a folder. Make a one-sheet of your best projects to go with your resume. Research beforehand to see what companies will be there. Dress well. Dress as if you’re going for an interview. We’re in the creative industry -- suited and booted isn’t always necessary, but do dress well. Volunteer. Where possible volunteer to help out during the day. You’ll get a first chance to meet the exhibitors, have one one one conversations, and make an impression. Skill match. Each booth has a focus. If a booth doesn’t match your skills thank them and move onto the next one. Open jobs. At each table, ask about their open jobs and see if there’s anything that’s a match for you. This is a perfect opportunity for face-to-face time with hiring managers and recruiters. Collect business cards to keep track of who you have met. If you work in design, make sure your card is unique. At the last TechJobsLA, Artisan Creative received a scratch and sniff card! Loved it! How’s that for making an impression? Have your elevator pitch! Don’t be vague when you’re asked: “What is it that you do?” Give a concise and clear answer e.g. “I’m a visual designer specializing in entertainment and technology. I’ve worked with XYZ and now I’m looking for a senior position.” It’s much more valuable to both you and the employer. Attend workshops. What you can learn from workshops can be invaluable to your personal and professional development. Ask questions of the speakers and companies - it’s an easy way to stand out. Take a notebook to jot down any job leads and next steps. Handshakes & Eye contact. Be firm. Make a connection. Phone usage to be kept to a minimum. Emails and Instagram will have to wait. Be friendly. Talk to the other attendees. You never know where your next job lead can come from. Follow-up b y emailing a copy of your resume and thanking them for their time. Jobs Alerts. Sign up for RSS feeds and job alerts of companies you met. Reflect on the day and what you did well. Are you attending this Saturday's TechJobsLA at BLANKSPACES DTLA? Come and have a chat with us at our table. Please review our open jobs page ahead of time, and follow us on social for tips on interviewing, resumes and job search best practices. What has been the response rate to your resume submission? If you are not getting the responses you had hope for you may want review your resume. Here are some steps you can take to improve your resume and make an impact without starting from scratch. Use SEO and Keywords. Some applicant tracking systems and resume management systems use keywords to highlight submissions. Make sure your resume is SEO friendly and utilizes keywords that align with the role you are applying for. Focus on ROI. Paint a picture of what each job you’ve had is like and what you achieved while there. How did you make an impact? Look through each position and find a way to list your accomplishments and impacted the team’s bottom line and productivity.For example if you designed a logo, you “developed and created a new logo that led to a 30% increase in conversions to their website”. Be Concise. Use bullet points or easy-to-read sentences. Hiring managers and recruiters often have little time to skim through hundreds of resumes for each job they are recruiting--make your accomplishments stand out. Focus on what strengthens your candidacy and highlight those. Use a common font. Arial, Helvetica, or Times New Roman are all easy to read. Stick with these simpler fonts instead of fancy ones. Pay special attention to the requirements of the applicant tracking systems and the readability of your resume. The exception to this is if you’re a designer, in which case you’ll want to make sure your resume showcases your design skills. Want to further improve readability? Increase the line spacing so there’s more white space. Delete objectives. Those statements at the top of your resume are unnecessary and waste valuable space. Instead of stating what you want in your resume, move it to your cover letter, where you can explain in more detail what you’re looking for. Consider adding in more description about your previous positions instead. Did you just help your manager reach quarterly goals, or did you create some kind of system to help them do that better? In short, keep your resume creative, relevant, and results-based. What are your resume refresh tips? 1. Determine your goals. Are you trying to get hired, boost business, or just showcasing your work? Is this a portfolio designed for building relationships or your brand? Clear criteria will help serve you best. If you want to get hired, display work that is relevant and current to get hiring managers at your dream company to notice you. 2. Put your best design forward...within limitations. Hiring managers (and everyone else) want to see your best work, but they also need to review lots of potential applicants in a hurry. Feature your best work prominently on a user-friendly site that showcases your work front and center. 3. Be concise. You may feel the need to say a lot in a small amount of space. However, best to keep it simple and organized, and repeat the “less is more” mantra. If you’re a freelancer who offers multiple services, or has several skillsets, try your best to demonstrate the key pieces or case studies. 4. Think about situations where you solved a problem. Was it a creative challenge? Were there limited resources? Look at samples that have a story behind them and list clear objective and how you resolved the design challenge. 6. Usability trumps artistic vision. While it might look really cool to change the navigation on your online portfolio, it can also be really confusing. Stick to web standards that keep the portfolio organized and implement SEO in case someone is searching. Consider readability, typography, and ease -- what will be easier to update on a regular basis? 7. Make it yours! Whether you’re designing something for conservative or nontraditional clients, your portfolio needs to be 100 percent you. Infuse your personality into the design of the portfolio, let your creativity do the talking, and have fun in showing the world what you can do. If you don’t have the time or resources for your own website, then utilize the many portfolio sites that offer free resources such as Behance, Coroflot, Krop, etc. Lastly, it should be easy to contact you, so make sure your contact information is easy to find! Do you have an outstanding portfolio? Share it with us! We might be able to help land your next gig! Artisan Creative is celebrating our 20th year staffing and recruiting Creative, Digital and Marketing roles. Please visit Roles We Place for a complete listing of our expertise. Click here if you are looking to hire. Click here if you are looking for work. For information on hiring best practices, interview tips and industry news, please join our social networks on LinkedIn, Twitter, Facebook, and Instagram. Portfolio image by Sean Halpin. Using the passive voice -- where the subject is acted upon by something else -- is not impactful on a resume. Yet it happens all the time! While we may express ourselves daily using the passive voice, the problem with using it on a resume is that it downplays your accomplishments. You are responsible for your own career, so why make it sound like you stood on the sidelines and watched it happen when you were directly involved? You must use the active voice in order to take responsibility for your actions and prove you get results. By phrasing each achievement in the active voice, it makes your involvement and accomplishment clear and easy to understand for the hiring manager. You didn’t experience an increase in social media engagement -- you led the growth. That distinction is the thing that can set you apart. Of course, you should include “my or our team” or something similar when it applies to a group effort, however the active voice lets you take credit for your best work. Remember, your resume has a very finite amount of real estate, yet limitations can breed creativity! Ignore the passive voice and use action verbs that will define your specific and unique skills and experiences. Looking for a new freelance or full-time job? Send us your resume. We'll help you land the next gig! Tactical only goes so far. Sure, you may know you need to list your experience, education, and achievements at previous jobs, but your resume is a snapshot of your work life. It needs to express depth and breadth in a meaningful way, as well as further showcase your personal brand. Consider a full rewrite of your resume that’s strategically written instead of just written to exist. It’s likely a human being will read your resume. Some companies use keyword screening software to help sort through resumes, but many companies, particularly mid-sized and smaller ones, have someone else read them. Therefore, your resume needs to be written in a way that anyone could understand. Was there some aspect of a previous job that might be harder to explain in detail, like running a social media marketing campaign? Find a way. Introspection is your friend. Take the time to review your illustrious career before rewriting your resume. What challenges did you face? What actions did you take to solve problems? What results did you gain thanks to your initiatives? For example, list team building and leadership roles and use this time to tell the story of a unique person with highly enviable opportunities: you! You need specifics. Command the hiring manager or recruiter’s attention by building up your reputation via specific, measurable results. It’s not just about whether you were in charge of a team -- how many people did you manage on a daily basis, and what did your department do to help the company overall? Did your design overhaul on a website directly lead to an influx of new sales? Pay attention to the basics. Make sure your page margins and spacing are all in order. Include contact info. Take out “orphan” words that are hanging on a line by themselves and rewrite those parts. Use a basic font and bullet points to create a cleaner, more readable look. If you’re a designer, consider a more graphically oriented resume that shows your creative side. And always proofread and spell check, no matter what! To best position for future roles, create a polished resume that exemplifies your career expertise with passion and practicality. Being personable, performance-driven, and pragmatic all on one page will not just make it clearer whether you’re a great cultural fit at the next great company, but it’ll also lead you closer to your dream job!